Current location Last on Lake Zürich, where is the boat today? 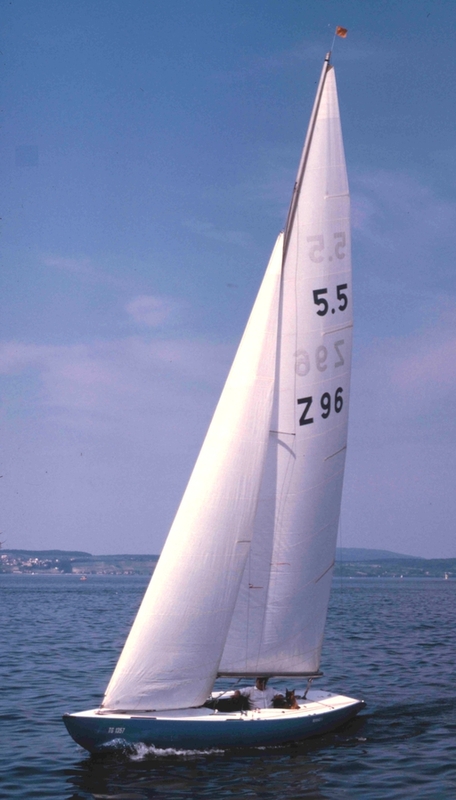 In an attempt to rejoin all existing participant boats of the 1968 Acapulco Olympic sailing regattas during summer 2018 for a 50th anniversary event, the search is on for 5.5 SUI 96, last named "Galatea" and located then on Lake Zürich. Who can help? GBR-035 can be seen in the book "Elvström speaks on Yacht Racing" p. 16 with two other unidentified 5.5's in the background. The Official Report available from http://olympic-museum.de/o-reports/report1968.htm does not list yachts. She was maintained at the Boatyard Heinrich in Kreuzlingen, which built a separate rudder for her, making the original rudder smaller, to become a trim tab. From all the many boats he has been experiencing, he says, that the 5.5 was the most elegant and nicest to sail. Given the high Swiss sailnumber for a 1967 boat, there is a probability, that Z-96 had been imported. K-35 "Yeoman XV" was sold to Switzerland at the end of the 60's but so far it is not known which Swiss sailnumber she got. Ohlson/Svineviken would match the Aisher purchasing habit. Anyone having photographs and info on Z-96 from between 1967 and 1972, please place them here. This boat is said to have been sold to Switzerland. Who can offer historic info on her history between 1969 and the 1970's?